Here’s why you need a guide to Millennials. Not long ago, it was the Baby Boomers that dominated the healthcare demographic landscape, one of the top audience targets of opportunity. The post-war crowd still represents a substantial slice of the Australian population. But boomer-babies are no longer the largest cohort. 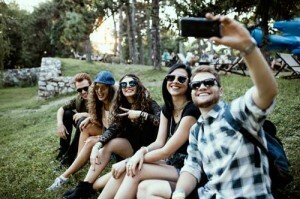 Millennials (age 18-34) are now the largest generation group, and one of the most sought-after consumer crowd. But be aware, Millennials are nothing like quiet and compliant Baby Boomers. In healthcare, Millennials have higher expectations and are more demanding than previous generations. Winning new patients often requires a different marketing approach. Here are some of the significant distinctions that you need to know to reach and retain this target audience. Digital marketing is a primary gateway. More than any other group, Millennials own, use and rely on the digital devices, mobile applications and the internet throughout the healthcare continuum. They rely on internet information. Millennials look online for health information, to make and manage appointments, to pay bills and to communicate with the office. Millennials expect healthcare practitioners to value their time. Convenience is the new currency. Millennials have high expectations and demand more from their healthcare providers. They expect fast and efficient care. Clinics should be modern, comfortable and have up-to-date equipment and technology. And while they’re waiting, they expect to find comfortable chairs and cool water to sip. You probably have just one shot at connecting. This is a generation that has grown up expecting and finding nearly immediate answers online. They are likely to form strong opinions quickly. And, good or bad, they are prepared to share their opinions quickly and online. The cost of healthcare is important to Millennials. This group is most likely to price check, comparison shop, and to ask about costs in advance of services. The Millennial demographic group is an attractive target, but one that is significantly different from what most practitioners and healthcare clinics have reached in the past. This is a group that has higher expectations and is more critical than other generations. And successfully marketing to this group, reaching and retaining them as new patients, requires a more accommodating, patient centred approach.